Over the years a number of people have sent me copies of photos for this section. In addition, I received photos from John Zubach, and the Freeland Y.M.C.A., Freeland Historical Society, and MMI have allowed me to scan photos in their collections. A number of the images have been posted on this website for some time, and now I am adding the others, with credit to the sources. It's exciting to share all of these Freeland area sports images with people who would otherwise be unlikely to ever see them. Please enjoy them, and I am grateful to the people and institutions that have shared them. 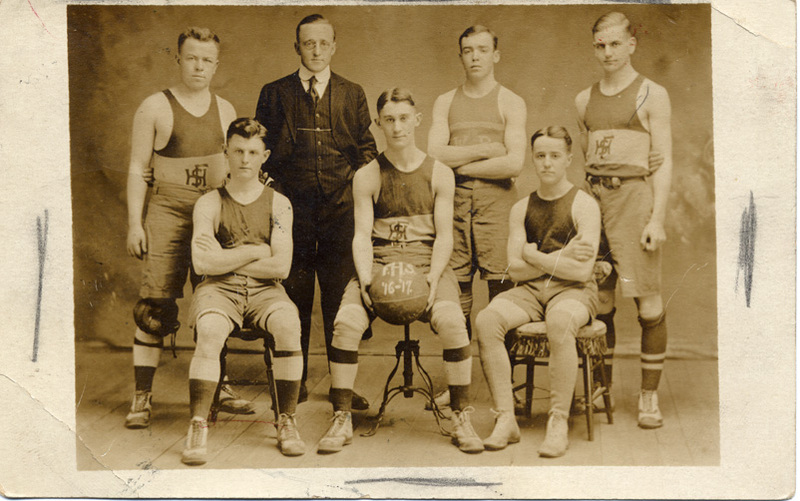 Thanks to Tom Lavinka for the photo of the FHS 1916-1917 basketball team! This was the very first sports photo that I received from a visitor to this website.